Why Millenial Gen Have No Brand Loyality? 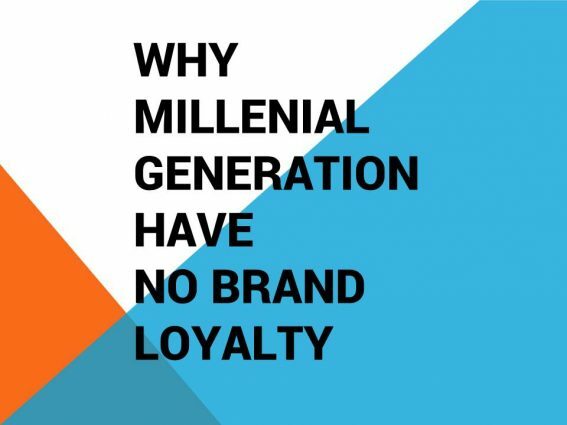 The study said that the millennial generation has no brand loyalty. They easy-going form one brand to another brand. Why? People in the older generation need a brand to help decision making to find a good product. In the previous era, the communication source is one to many communication or mass media, they have no forum or peer group that give them information and review. So they laid to most reputable and famous producer or brand. The reputable brand keeps their reputation and gives a good guarantee. Millenial generation does not depend on good reputation brand to find good products. They can read the customer review and their group and forum review. They more believe in their friend than advertising. The forum already has a role as the previous brand. Instead of using a brand that socially created, they use digital forum or group. Internet and computer reduce many business processes. It enables a company to find good outsource. It also reduces marketing cost. So competition so high. So many companies that disrupt older old style business model. So millennials prefer to choose a better offer. The old brand is not necessary. The new company often offer very good offer. Millenial often faces new wonderful ideas and new products. So, they also open to new products. Millenial has a growing nerd. A nerd is an enthusiastic group that opens to innovation. They have a forum about their enthusiasm. They like to try new products. They also like to share their ideas, so their follower often to adopt their ideas. Millenials aware that so many inventions that improve their hobby or work. So good brand products often obsolete because there better invention that more efficient and more effective. So they open to new products than loyal to the old brand. They get information about products is not from the brand ambassador, but from their groups. That includes the negative comment about a brand. So they can lose their loyalty. Big businesses have extraordinary offers or value proposition. The offer is tempting to consumers, and competition is difficult to imitate. You are also difficult to imitate. But by studying various kinds of offers from big businesses, hopefully, you can find and make offers that are also extraordinary, useful and difficult to imitate competitors. It is brand proposition of body shop: Embed social activism in business. The company has a great name because it associates with social activism. They are not the first social activism. Although she copied the brand name and the idea of recycled packaging from a U.S. company in 1976 and had only accidentally practiced social activism 10 years later, Roddick introduced the idea of creating stories behind cosmetic products. Microsoft is not the first GUI operating system. But they realize ubiquitous computing. Although not an early pioneer, Gates has introduced operating systems into the mainstream since 1975 and arguably made software an essential part of computing by taking advantage of the network effect. It is the unusual offer of Apple: Transform how people enjoy technology. They transformed the computing, music, and phone industries by introducing the Mac (1984), iPod (2001), and iPhone (2007) with cool counterculture approach; also reinvented animation pictures with Pixar (2006). They create affordable price and smart furniture. They produce it by creating mass foldable furniture and distribute it in self-service retail shop. It reduces production cost and retailer shop. For customer, it gives affordable price and self-service experiential stores (in the 1960s) and smart. Founded by Sir Richard Branson, Virgin have brand mission: Bring excitement to boring industries. 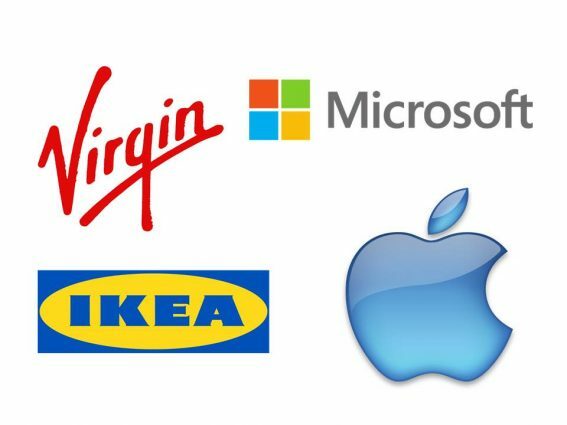 They will give business with risky and diverse ventures under the single brand name since 1970, Virgin Group; They applied unconventional 400 business practices company-wide. our core consumer sectors of Travel & Leisure, Telecoms & Media, Music & Entertainment, Financial Services and Health & Wellness. They recently attempted to create commercial spacecraft with Virgin Galactic (2004). Almost all children in the world like Walt Disney. Their brand proposition is Create magical world for families. That proposition energize and inspire the company to create great things. They created successful animated characters and brought them into mainstream business with licensing and theme park experience. Although he got his ideas about the low-cost airline model and corporate culture from Pacific Southwest Airlines (established in 1949), Kelleher has brought low-cost airlines into the mainstream since 1971 and inspired worldwide adoption of the business model. Connected sellers and buyers with eBay (1995), facilitated transaction and governance with user ratings and inclusion of PayPal as a subsidiary (2002) Ebay have motto: Create user-governed market space. Since 2001, Wikipedia has been redefining the encyclopedia and popularizing the collaborative wiki approach developed by Ward Cunningham (1994)Create a publicly editable encyclopedia. What unusual offer that Linkedin provide? Reid Hoffman creates Linkedin to connect professionals around the world. LinkedIn introduced online professional networking and new ways of organizing professional contact information; someone says it will soon replace the traditional resume for job search. What Benefit that Twitter offer? Build by Jack Dorsey, Twitter provide the tools to track friends and other interests. Established in 2006, Twitter pioneered the idea of mini-blogs on the Internet and how people can broadcast their ideas to their network. Since the early of civilization, human beings have known that business has an important role to reach wealth. Business gives what individuals and society need. Today, people learn business to get sustainable money. There is a lot of article and book about business, include my article about business development steps. So, it’s not easy to recognize what matters from the business. 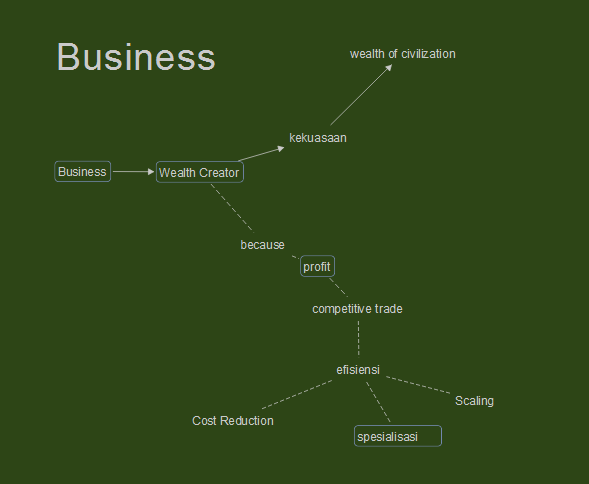 Studying business from business history gives insight into what’s important in business. History shows something that always exists in the development of a business. The important thing in the business is efficiency and sharing benefits competitively. Efficiency allows entrepreneurs to get profit from the business transaction. It also helps entrepreneur offer a good price. how to do business efficiently? The way to run it is by specialization, the scale of production, and create more fit between customer problem and company solution. So continuous market research is important to create the best-fit offer. Business tells the offer in copywriting format or advertising in several media channel. Since barter trading, people know that business needs efficiency. At that time efficiency is achieved by specializing in production. Specialization and focus in creating a product encourage people to produce products quickly, cheap and good. Because he has put his time and energy into a field, he will find a better, faster and cheaper way to compete in a market. Because specialization is efficient, the state tends to specialize in its core business areas. The city also has its own specialization. specializes, villages specialize. That specialization does not have to be a whole country or city only make one product, but there is a dominant product. Adam Smith developed the idea of specialization for this efficiency by offering a division of labor. When within the company, there is a division of labor, with a smooth production flow, then productivity will good and growth occurs. For efficiency too, Ford advised workers to be obedient without thinking, so that the conflict between the management team and the workers is minimized. With the division of labor, the employees will handle the tasks easily and quickly mastered the production process. Creating large quantities of products will reduce production costs per product. In addition, producers can also press profit margins, in the hope if the goods sold a lot, total profits are also many. The production cost of a product has fix cost and variable cost. Whatever quantity of product that we made, fixed cost does not change, not multiply. And the variable cost increases when quantity also increases. Consequently, after a business has an orientation to mass production, they need technology, machine, teamwork, and market that they buy. Humans are constantly looking for ways to enlarge the scale of production, using animal power, heavy machinery, and computers, aiming to increase mass production. Business type: retailer, producer, distributor? Do you apply bookkeeping and accounting? Why your customer buy (reason)? eg, quality, service, function, price. Comparison of your business and competitor in term turnover, brand, capital, cost, profit, skills, service etc. The main indicator of the performance of each member, division, and team. What is the area of team participation in management? product development, market development, strategic management, finance management.